Equality Now, the international human rights organization, is pleased to announce that it will honor renowned activist and writer Gloria Steinem, and award-winning actress Salma Hayek Pinault at its annual Make Equality Reality event this year. The fundraising gala will return to the Montage Hotel in Beverly Hills for the second year in a row, on Monday, November 3rd. The event, will bring together a diverse and dynamic group of change makers, celebrities and philanthropists to honor women making extraordinary changes to the women’s rights landscape. 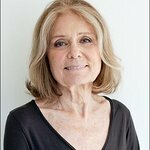 Equality Now Board Member, Gloria Steinem, will be honored for her life-long work for women’s rights during her 80th birthday year. For over 6 decades Steinem has been at the forefront of the women’s rights movement, tackling a diverse range of issues that prevent gender equality, including access to equal employment and political voice, equality in marriage, and all forms of violence against women. Salma Hayek Pinault will receive recognition for her activism to ensure justice and freedom from violence for women and girls. The evening will also include special introductions of Steinem by Congresswoman Maxine Waters and Hayek Pinault by Quincy Jones. The event committee co-chairs are Sue Smalley, PhD and Paula Ravets, PhD. The honorary host committee is comprised of Tobin Bell, Maria Bello, Kimberly and Albert Brooks, Lizzy Caplan, Jane Fonda, Alyson Hannigan, Goldie Hawn, Helen Hunt, Christine Lahti, Jay Leno, Jada Pinkett Smith, Aubrey Plaza, Paul Reiser, Meg Ryan, David Steinberg, Joss Whedon and Daphne Zuniga. Equality Now’s “Make Equality Reality” event is produced by Control Room.